After its driverless car crashed three days ago in Arizona, followed by a suspension of its self-driving programme, Uber’s autonomous cars are back on the road. According to a Reuters report, Uber has concluded its brief investigation into the recent crash of its self-driving car in Tempe, Arizona and has green signalled the programme run by its Advanced Technology Group (ATG), thereby resuming its pilot tests in Pittsburgh and San Francisco. While Uber has finished its investigation, police in Tempe is still in the midst of its own investigation. A full report of the crash will be prepared by the Tempe PD by mid-week. As of now, Detective Lily Duran, the officer incharge of the investigation, has said that the Uber self-driving car was not at fault when the accident happened. Uber’s driverless car in question, a Volvo SUV, did have an engineer inside, but the car was in self-driving mode when it crashed. Uber has been running its pilot driverless programme in Pittsburgh since September last year and no other collision incidents have been reported in the area so far. 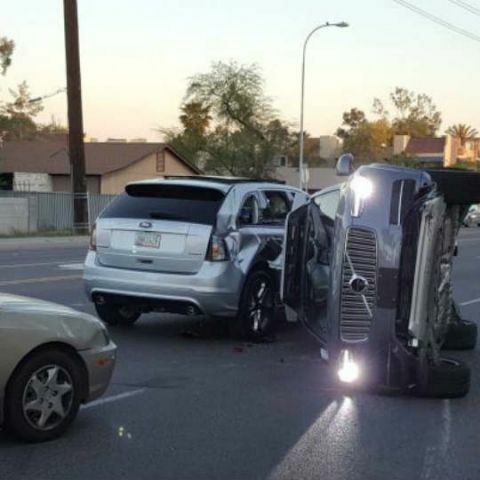 However, this is the second time an Uber self-driving vehicle has ran into trouble. Last year in December, another one of Uber’s driverless cars skipped a red light in California. While Uber may have resolved this issue, the company is still battling internal conflict and attrition. It remains to be seen how Uber pulls itself up from that mess.